I remember using cucumber peel off mask back in the day when I was in high school and since then, I haven't been using any peeling mask till now. Honestly if it was just a regular clear gel, I might not purchase it but it's CHROME! 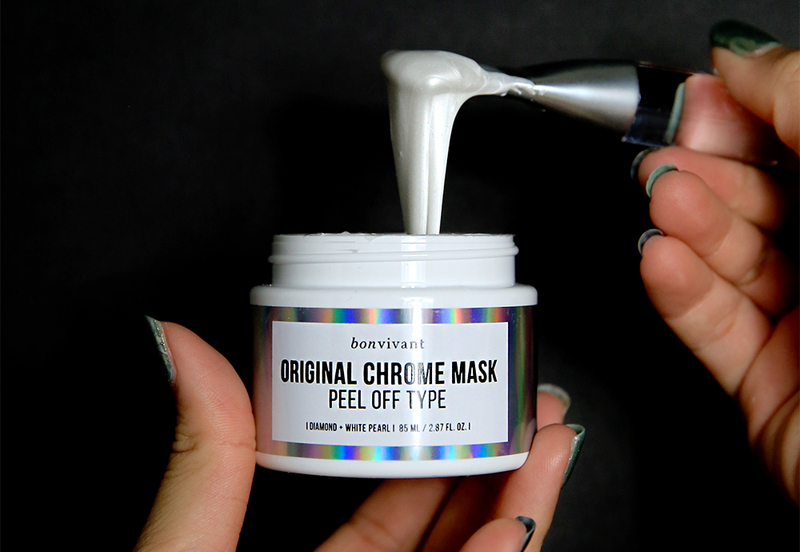 I knew I had to try it at least once and so I did!^^ I bought this Bonvivant chrome mask via Memebox Korea. It smells fresh (soothing creamy baby lotion like!) It was real fun to see how sparkly the liquid is! I bought their silicon brush as well and it helps spread the product out easily and evenly. I read that you should put a thick layer so that it dries up better, for easier peeling later on. You'll know when it dries when you can do this! Haha, the drying time is like regular mask, 15-20mins tops! Some people who have sensitive skin might not like peeling mask/nose strips as it hurts when peeling but for regular skin, it shouldn't hurt at all! My skin is thick so I really enjoyed the peeling process and my skin felt instantly tighter! 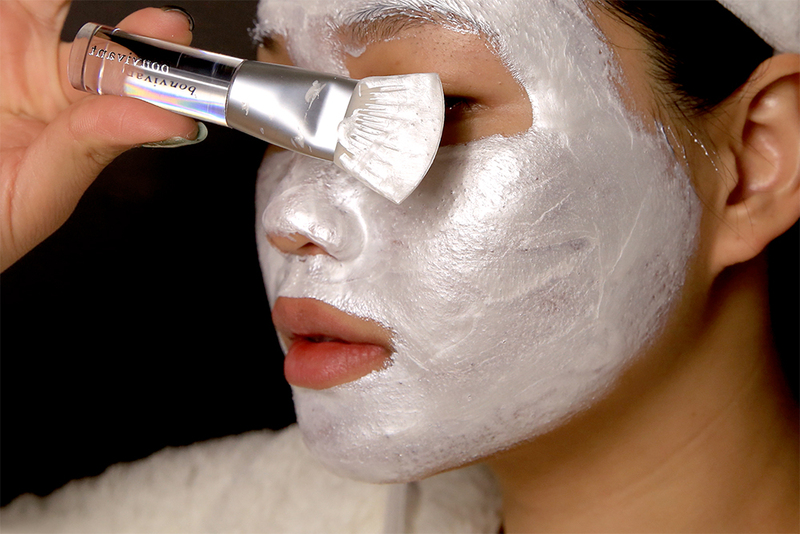 Once the mask is removed, used warm water to wash any residue and carry on with your toner and moisturizer. 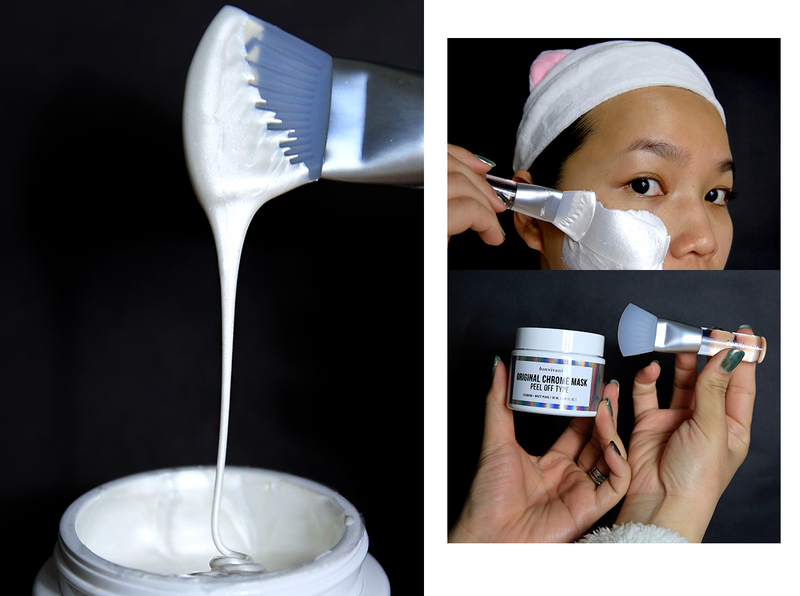 I'm doing a directory of mask reviews and you can click on this link to read related post. The place to have Beef Cutlet in Japan!